You are here: Home > F.A.Q. Q – In an emergency should I call the Fire Department direct or Dial 9-1-1? Dial 9-1-1. The 9-1-1 system is designed to shave valuable seconds off of a response. The 9-1-1 dispatcher will route the proper units, whether it be Police, Fire or EMS to you immediately. Q – Why do so many fire apparatus have to respond? In order for us to help you with the quickest and most sufficient service we follow a guideline based on the criteria of the call taken by the 9-1-1 dispatcher. This could be a minimum of one engine company, one quint company, and one ladder company. If the dispatched call is for a fire there will be more units dispatched. Q – There is a smell of something burning, but I don’t see any flames. What should I do? Call 9-1-1 immediately. The fire department has trained personnel and equipment that can pinpoint your problem and either resolve it or guide you in the right direction to fix the problem. Never be embarrassed to call the fire department. 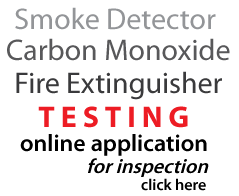 Q – Who responds if my Carbon Monoxide detector activates? Call 9-1-1 immediately and we will send one unit to check your entire home for any problems. Do not hesitate, carbon monoxide can be a killer. Q – Can the Fire Department assist me if my basement is flooded? Yes. A flooded basement is considered a hazardous situation when you have electrical and HVAC appliances. The fire department can help alleviate this problem by securing those appliances as well as trying to pump some of the water out of your basement. Q – Am I allowed to burn leaves on my own property? NO. Burning leaves violates the New Jersey Uniform Fire Code. If you violate this law you can be ticketed. Q – What is an Escape Plan and how do I get one? 4. Make your exit drill realistic. Q – Where do I need to put smoke detectors and Carbon Monoxide detectors in my home? Current law states that smoke detectors should be placed within 10 feet of a sleeping area and on every level of a home. Newer homes should also have smoke detectors in each bedroom for an added security measure. Carbon monoxide detectors should be located on each level of one’s home. Q – I am selling my home. How do I set up a smoke detector appointment? Please click over to our Fire Prevention page and follow the directions on the page. If you would like you can also call Fire Prevention at 609-409-2908 x106. Q – What do I do if my fire extinguisher is broken? If you are a resident the best way to resolve this issue is to go to your local hardware store and purchase a new extinguisher. If you are a business owner please check the phone book or internet for a local authorized Fire Extinguisher repair company. Q – What can I do if a member of my family is disabled? Q – There is a leaking or broken fire hydrant on my street. Should I call the fire department to report it? Absolutely. A broken or leaking fire hydrant needs to be replaced immediately to ensure its usability in the need of an emergency. Please contact us at 609-409-2980 and we will make sure to get the problem addressed. Q – Why was the fire apparatus at the local grocery store while some of the members were inside shopping? Our firefighters work a 24 hour shift which means they eat all three meals at the firehouse. During that time the firefighters might need to go to the grocery store to pick up their supplies for the day. It is important that the crew be together at all times to insure the rapid response to an emergency no matter where they are. If you see the firefighters inside they will all have radios on them that guarantee constant radio contact with the other members of their team as well as the dispatcher. If they are dispatched to an emergency call they will immediately drop what they are doing and respond to the call. Your safety is of their utmost importance and priority. Q – Why did I see Monroe Township Fire District #3 apparatus responding out of town? Monroe Township Fire departments as well as other fire departments go out of their town boundaries on “Mutual Aid “calls. This not only helps the surrounding towns in a time of need it also ensures that if a large scale emergency occurs within Monroe other departments from the surrounding towns will come in to assist us. 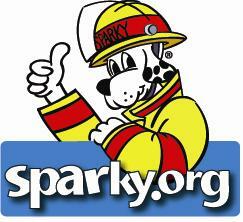 "Sparky the Fire dog (R) is a trademark of NFPA, Quincy, MA"
© 2015 Monroe Twp Fire District #3 All Rights Reserved.